While 2017 Batch A Stream II corps members across the country are celebrating the completion of their youth service program, the NYSC has announced that 19 coppers will have to repeat their service year in Delta state. The agency said the 19 corps members avoided their service year programs and will have to repeat it whenever they present themselves to the NYSC authority in the state. Mr Benjamin Omotade, the NYSC State Coordinator in Delta made his known during the passing out ceremony of the 2017 Batch A, Stream 1 corps members on Thursday, April 11, 2018, in Asaba. I then vowed to correct my mistakes and go boy hunting. 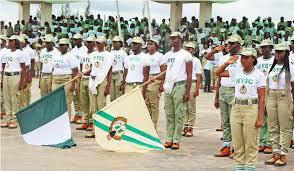 Omotade said the 19 corps members were found wanting and would be punished in accordance with the bye-law of the NYSC. He said the three corppers have been who have been selected for recognition and awards will receive Chairman's award and the state honour award during the passing out ceremony of the 2017 Batch A, stream II corps members in June 2018. Meanwhile, Gov. Ifeanyi Okowa of Delta advised the corps members not to be deterred by security and unemployment challenges and unemployment. Okowa, who was represented by the Commissioner for Youth Development, Mr Oghenejaro Ilolo said that their participation and experience in the scheme were to equip them with the necessary skills and strategies for survival as adults in a competitive world.